Bangalore-based CureFit Healthcare Pvt Ltd, which operates health and fitness platform CureFit, has secured $3 million (Rs 19.2 crore) in a fresh round of funding from UC-RNT Fund, a joint venture between Ratan Tata’s RNT Associates and the University of California, Mukesh Bansal, founder of the health startup told VCCircle. The startup, which has been in the works since early 2016, has also formally launched its operations via a mobile app, cure.fit, a company statement said. Other investors who participated in the round include Gokul Rajaram, product engineering lead at US-based mobile point of sale provider Square; Aditya Agarwal and Ruchi Sanghvi, vice presidents of engineering and operations, respectively, at file sharing application firm Dropbox; and Shishir Mehrotra, former vice president of product, engineering and UX at YouTube, Bansal confirmed. “The funding happened a while back and it is not only about UC-RNT as Tata has also invested in his personal capacity. Besides, prominent Silicon Valley tech leaders have also invested in CureFit. This is more about the calibre of people that the company can get associated with,” he explained. The new round of funding will take the total capital raised by CureFit to $18 million. In July last year, it had raised $15 million in Series A funding from Accel Partners, IDG Ventures and Kalaari Capital. This makes it one of the best-funded early-stage startups in the healthcare and fitness space in India. CureFit is the second investment made by UC-RNT Fund in a span of two weeks. Last week, VCCircle had reported that it put Rs 267.9 crore in homegrown cab aggregator Ola. Available on the iOS and Android marketplaces, the company has three different offerings: cult.fit focuses on physical fitness, eat.fit is centred around healthy and nutritious food, and the third part has mental wellness offerings and is called mind.fit, the statement added. CureFit will operate on a freemium model, Bansal said. “While some of the DIY (do it yourself) videos on working out from home in cult.fit will be free of cost, users will have to subscribe and pay offline for the 10 Cult fitness centres in Bangalore. Likewise, the health recipes on eat.fit are free, while users will have to pay for health foods available on its platform. The entire section of the mental health platform, which is mostly DIY videos on meditation, is also available free of cost to users,” he explained. In August 2016, CureFit had invested Rs 20 crore ($3 million) in Bengaluru-based Cult Fitness Pvt. Ltd, a fitness startup that offers training programmes without equipment, thereby giving a it a controlling stake in the company. Cult’s offline centres offer fitness regimes without equipment that includes strength and conditioning, spinning, boxing, mixed martial arts, zumba and yoga in groups. Likewise, the eat.fit platform is currently available only to companies, where employees can order and get healthy food delivered to them. Bansal said that the offering will soon be expanded to the general user as well. While refusing to divulge further details on expansion, he added that the company is currently focused only in Bangalore. “We will be expanding our product and geographic footprint in the near future and will look at serving 10 million customers in the next five years,” said Ankit Nagori, co-founder at CULT. 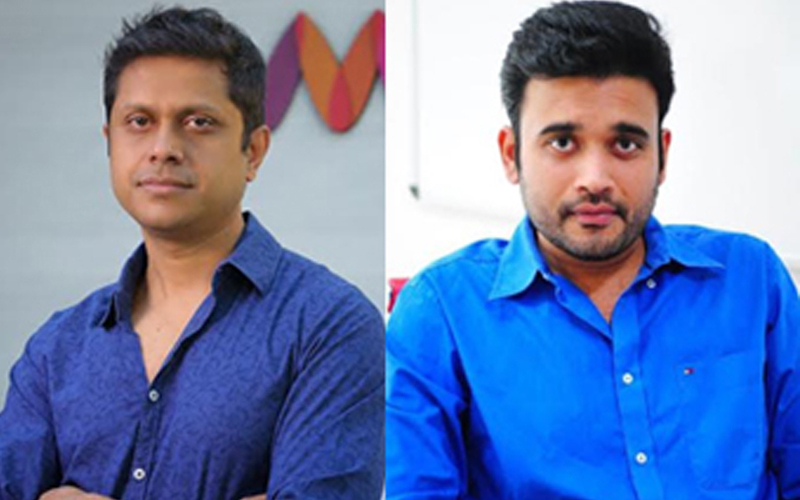 Founded by Mukesh Bansal (former head of Flipkart’s commerce platform and Myntra founder) and Ankit Nagori (former chief business officer at Flipkart), CureFit aims to address preventive healthcare through a combination of engagement, coaching and delivery using a mix of online and offline channels. Nagori and Bansal had quit the e-commerce firm in February 2016. The company had made a bunch of acquisitions in the run up to the launch of their new venture. In March this year, it acquired Bengaluru-based premium online food delivery startup Kristys Kitchen in a cash and equity deal. In February, it also acquired a majority stake in Bangalore-based fitness centre chain The Tribe, according to a report by Mint. It has also invested in a mental health and wellness platform Seraniti, according to a report in The Economic Times in January this year.